It’s a basic tenet of owning a car: nobody likes driving in traffic. Whether you’re stuck in traffic for five minutes as you look for the next exit, or spend two hours in congestion every day on your commute to work, traffic is never fun and always feels like a hassle. In addition to being frustrating and boring, stop-and-go traffic is far and away the most common place for accidents to occur. 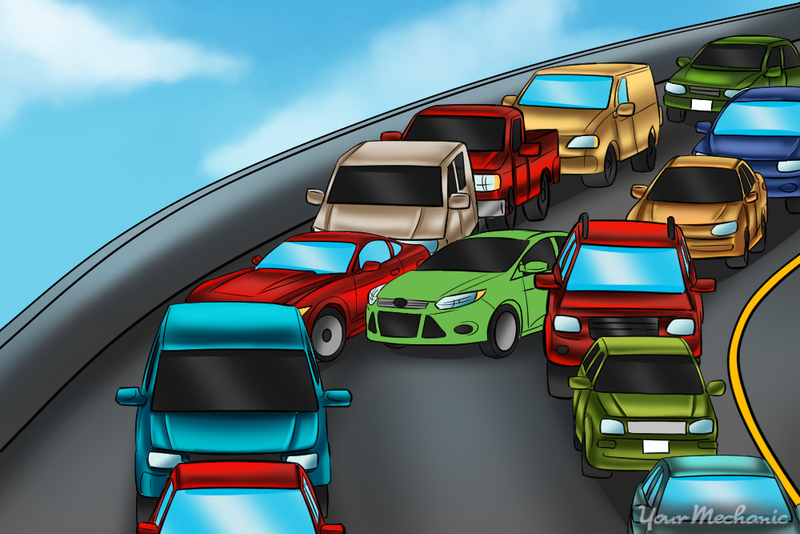 These accidents usually aren’t very serious, since traffic keeps cars moving slowly, but it’s a gigantic hassle, as you’re suddenly trying to sort through an accident while stuck in the middle of a heavily congested freeway. Given the amount of vehicles that are on a freeway in bumper-to-bumper traffic, there’s no foolproof plan for avoiding an accident. But if you follow just a few simple tips and guidelines, you can greatly improve your safety when driving in heavy traffic. This will not only decrease your chances of an accident, but ease your stress levels on the road, making traffic far more bearable. Step 1: Make sure your brakes are up to par. Take good care of your brakes at all times. If you’ve ever driven in traffic, you know that you’ll spend the majority of the time with your right foot on the brake pedal. As such, it’s imperative that your brakes are working properly. Be sure to have your brakes frequently inspected, and have a reputable mechanic, such as one from YourMechanic, replace your brakes as soon as they start to wear down too much. A congested freeway is one of the last places where you want to lose your brakes. 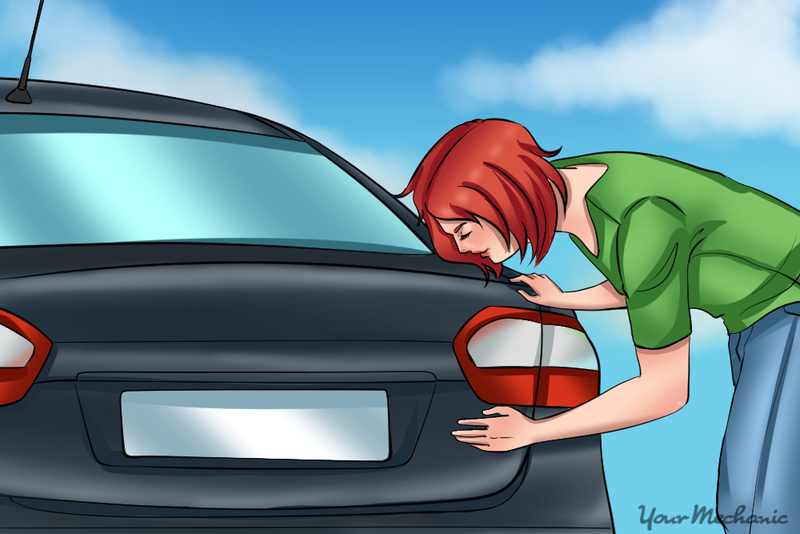 Step 2: Make sure your brake lights are working. Brake lights are a very important part of driving safely, especially in traffic. The cars behind you on the freeway depend on your brake lights to let them know when you are slowing down so that they can do the same instead of rear-ending you. Once a month, check your brake lights by asking a friend to stand behind your car while you press the brake pedal. If any of the lights don’t come on, hire a mechanic to help you fix your brake lights. 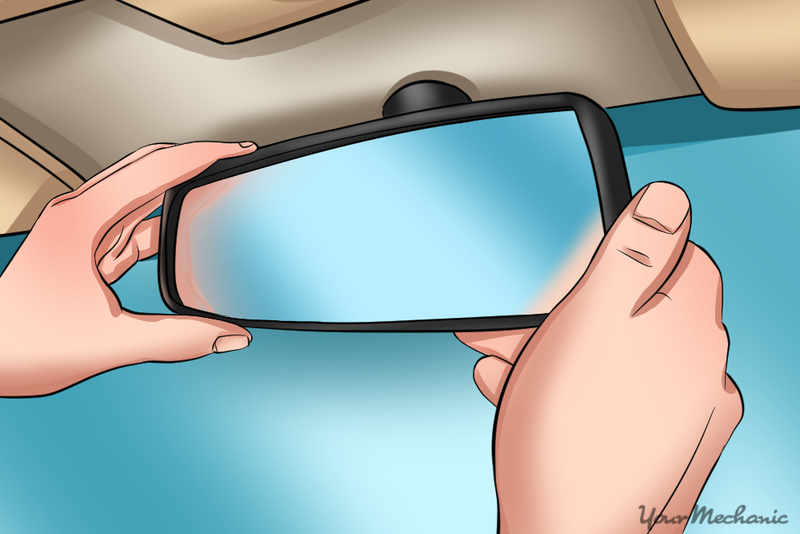 Step 3: Adjust your mirrors. Before driving, adjust your side and rearview mirrors. The biggest danger in freeway driving is visibility. With so many cars on the road, it’s easy for one to get lost in your blindspot. This can be very problematic during heavy traffic, when the freeway is packed full of cars and lots of merging is taking place. To make sure that you can see as many cars on the road as possible, adjust your side and rearview mirrors before you start driving so that you have maximum visibility. Tip: If your vehicle has a blindspot monitor, be sure to pay attention to it when you’re stuck in traffic. Step 1: Keep your eyes moving. Keep your eyes constantly moving so that you can spot any dangers on the road. Traffic presents a unique problem: Cars move very slowly, yet you have less reaction time than in pretty much any other driving situation because there’s so many cars packed into such a tiny space. The biggest step towards becoming a safe driver in traffic is to keep your eyes moving. Constantly check your rearview mirror and your side mirrors. Always look over your shoulder before merging. Pay close attention to any collision safety features on your car. It’s important to keep your eyes primarily on the road in front of you, but with so many potential dangers to the side and behind your car, you want to make sure that you are constantly aware of all of your surroundings. 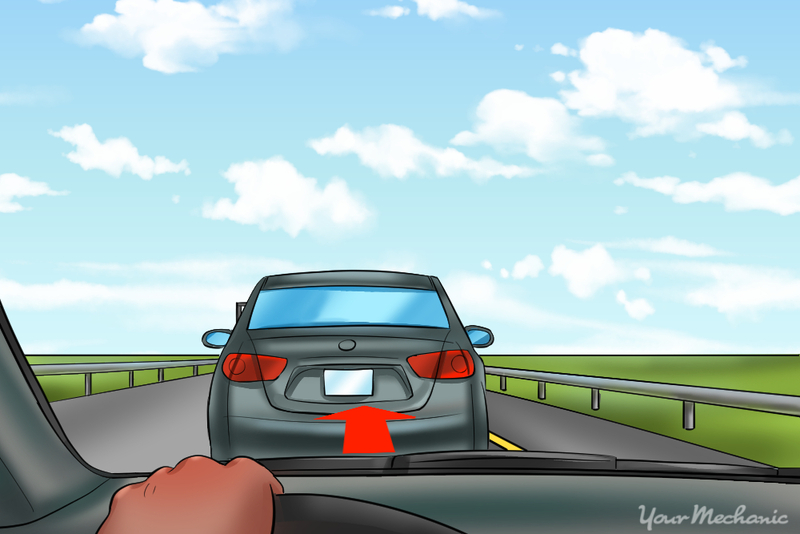 Step 2: Pay attention to the brake lights of other cars. Depth perception is difficult when you’re stuck in traffic because it can be hard to tell when a car is moving at a low speed and when it isn’t. Unfortunately, in the time it takes you to realize that the car in front of you has stopped, you may have already ran into it. To keep this from happening, keep your eyes on the brake lights of the vehicle in front of you. The brake lights will illuminate as soon as the driver applies the brake pedal, which will give you the warning time you need to stop safely. Step 3: Don’t tail other cars. In addition to looking at brake lights, always maintain a large distance between you and the car in front of you so that you have plenty of time to slow down if the vehicle ahead of you slams on the brakes. Step 4: Avoid distractions. Avoiding distractions is an important part of driving in general, but it’s especially important when you’re in bumper-to-bumper traffic when a split-second lapse in attention can mean a collision. Never use your cell phone while driving and only adjust the sound system if you can do so without taking your eyes off the road. If your passengers are distracting you, don’t be afraid to ask them to be silent until you’re no longer in traffic. Step 5: Merge carefully and safely. Exercise extreme caution when changing lanes. 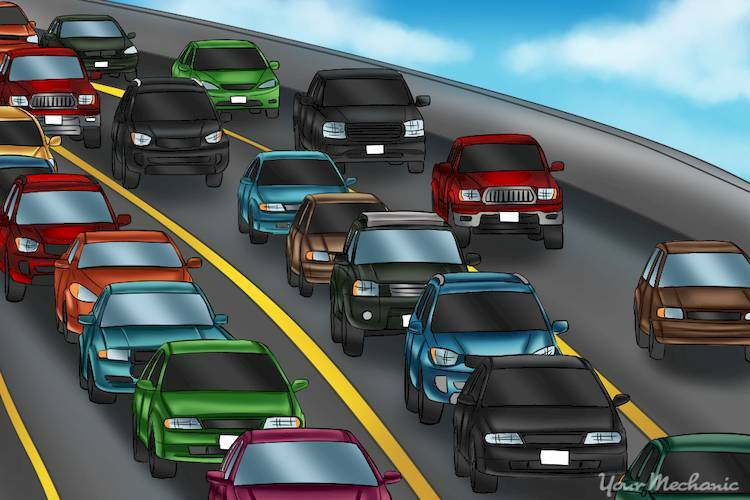 A common traffic accident occurs when two cars merge into the same lane at the same time. The more you’re aware of this possibility, the more you can do to keep it from occurring. A few seconds before you merge, turn on your blinker so that the vehicles around you know that you’re planning to merge. Before you merge, check your blindspots to make sure the spot you are moving to is clear, then look out your window to make sure that the driver two lanes over isn’t planning on merging into the same lane. When the coast is clear, merge smoothly and slowly into the lane. 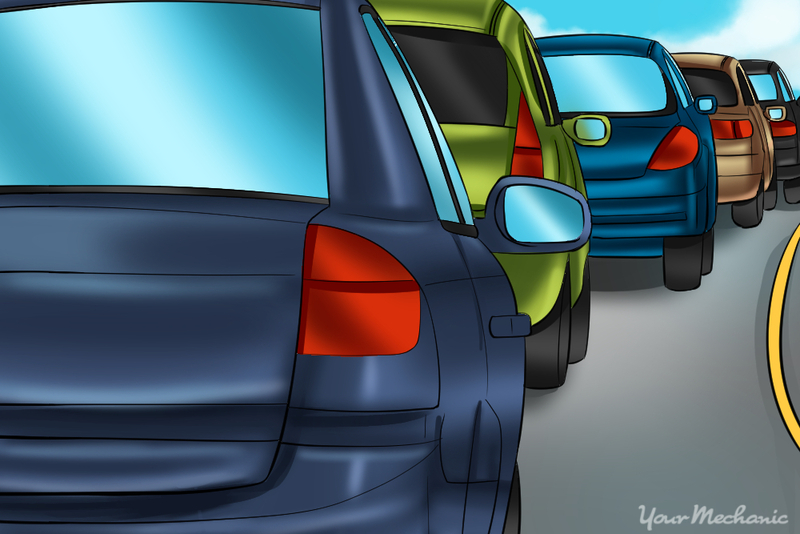 Avoid sharp movements because then you cannot return to your original position if another car tries to merge into the same spot. Step 6: Avoid sharp accelerations. Don’t have a heavy foot on the gas pedal. Stop-and-go traffic can be very frustrating, and as a result, many drivers tend to accelerate as fast as they can when they get a little room to move. The reality is that there’s no benefit to this. Whether you accelerate slowly or quickly, you’re still going to have to come to a stop as soon as you catch up to the car in front of you. Accelerating quickly in traffic is very dangerous because vehicles that are planning on merging into your lane won’t have time to see and avoid you. Step 7: Be aware of all the different vehicles and situations around you. Heavy traffic has a few unique issues. Motorcycles may circumvent traffic by driving in between lanes, emergency vehicles may have to get through all the vehicles, and people are constantly merging into and out lanes all around you. Make sure that you’re aware of all of these situations so that you know to look for them. For instance, if you’re not thinking of the fact that motorcycles may be splitting lanes, you may not notice them until they are right in your path. 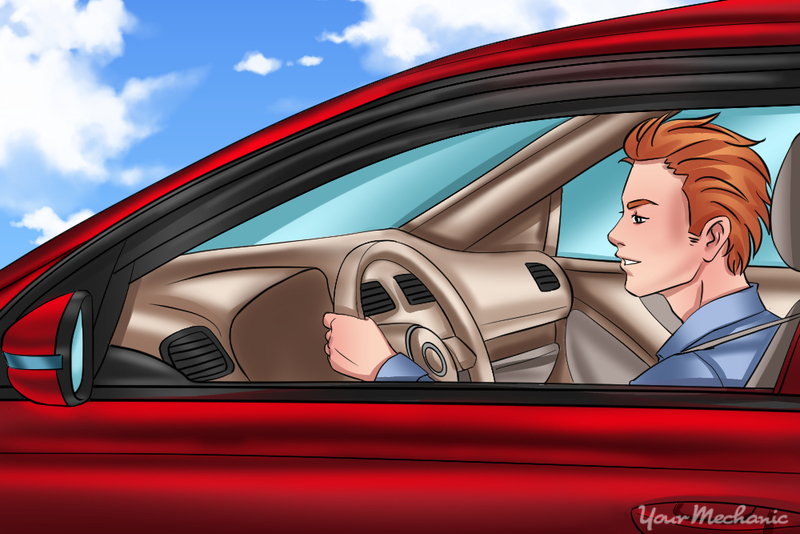 Step 8: Avoid road rage. Chances are, someone else who is stuck in traffic will end up annoying you or frustrating you. He or she may honk at you, cut you off, or deny you entrance into another lane. Whatever you do, don’t let yourself get caught up in anger and road rage. When you get upset behind the wheel, you can instantly become a worse and more aggressive driver. Other than a good album, podcast, or audiobook, there’s no way to magically make heavy traffic fun. However, if you follow these tips, you can at least make it as safe and secure as possible. Q: How do I cancel cruise control? Q: How do I choose a 12 or 24-hour clock?